Once again the Society is pleased to announce that their will be two show rings – main attractions and the light horse ring plus another challenging competition. Trade Stands are just one of the many things to see and do this year. These stands give businesses a chance to showcase what they have to offer whilst meeting current and potential customers. A range of products and services will be on show and for sale for those who enjoy a bit of retail therapy! Over the years there has been a growing interest in Flintham Show’s craft marquee. This huge marquee will be brimming with excellent and innovative stalls ‘selling, making and doing’ all things craft. There will be a range of events running throughout the day. From horse ploughing to hedging you won’t be short of something to see or do! You can visit the livestock area, plus the educational tent which also displays the bygones from farming through the years. The show also has a Horticultural marquee with competitions for all ages alike. From home baked goods to vegetable growing and wine making to flower arranging, there is always something interesting to see in this marquee of many talents! With the site having two rings there will be a range of fantastic attractions to see through out the day. You can sit and watch the horse classes or visit the main attraction ring where there will be a variety of displays including the horses and hounds and much more. The shows extensive history means the day will be full of both traditional and modern attractions – all equally exciting! 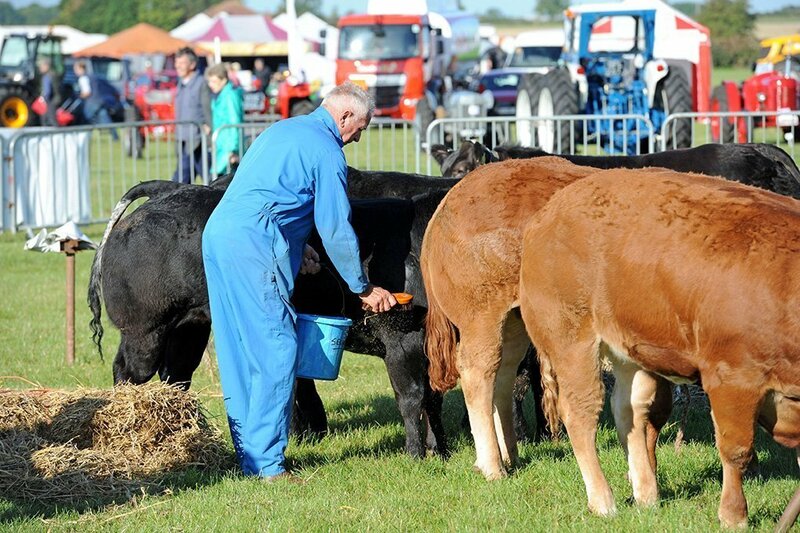 Livestock: Cattle and Sheep – Ploughing: horse and tractor – Shopping: crafts, trade and food stands – Light Horse Ring: open ridden cob, working hunter, pure or part bred Cleveland Bay horses, best shod horse award – Main Ring Attractions: fork lift competition, South Notts Hunt – Horticulture: flowers, baking, vegetables, wine, photography, art and much more…. The Flintham Show made for a fabulous day out. It was our first time and we’ll definitely be back again next year. The children had a great time and loved seeing all the farm machinery up close. The Flintham Show just seems to get better every year. Its always nice to see the mix of old and new, especially in the Ploughing competition and the Tractor displays. A great day and lovely food! We had a lovely day out at the Flintham Show. We treated ourselves and became Friends of Flintham and really enjoyed the meal we had at lunchtime.